Being involved with the same phenomenon for the longest of time, makes one see most things analogous to that particular phenomenon. Having played games for most of my life, been part of and started game communities, followed every facet of the industry, studied games academically; I’ve reached that point where I relate most things to game and play mechanics. It is difficult to attribute my deductions to one piece of study or some one incident… it can be described as an amalgam of all information that has been input to my head through the ages. There are people like Johan Huizinga and Mary Flanagan who’ve worked on and defined the act of play very well; in this post here, I will present multiple ways of how game is defined and how game defines multiple things around us… also, how and why, All the World’s a Game and Everyone living is a Player. Do your Dharma (Guidelines for being a good person). Gather good Karma through your actions performed in your lifetime. Attain Moksha (the ultimate satisfactory end state where you are not reborn). This is very similar to how games are designed, you have a set of objectives you are given in a game (do good, stop the bad people etc), you follow those rules and do things that will eventually take you to your goal (save the planet, end the game). Now if you believe the outcome was already set or was something you made yourself achieve is up to you. When you play a video game for instance, even if it is something as simple as Super Mario Bros. where you are jumping from one corner to the other and collecting things… it might seem like everybody is playing the same game (starting their life at 1-1 and ending the game), but each and everyone is experiencing something unique in their journey from the start till finish. People play by different beliefs (save the princess, collect the most coins, complete it the quickest, etc etc) and people end their game at different stages. Which is of course, just like life. You are given this world, a life, and a certainty of it’s end… what you do in that journey and how you spend your time is defined by how you play the game. You play the game as long as you are alive, try to achieve satisfaction. Meaning of living, search for reason. One who already tries to follow a set of rules handed down by generations, if it is very abstract, can use the playbook to find a goal for their life… a Raison d’être. It can get tricky, as time changes the equation, makes life more complex… things like centralized governments, economic systems, technology, all of these and others change the way of life. Which makes it difficult to find one’s purpose and meaning if they were to follow the same rules. The game itself is alive and plays with our lives. Do you want to meditate away, attain Moksha? Or do you want to become the world’s richest person? Do you want to be famous? Or do you want to grow old with a life partner and have a family? 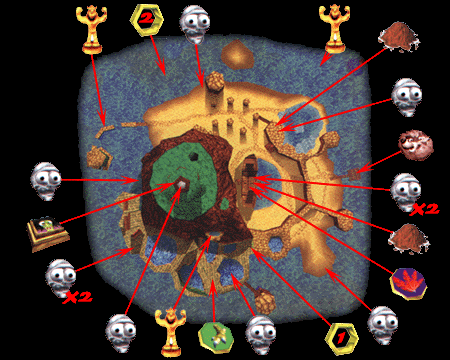 It’s the eternal Banjo-Kazooie problem, if you have 5+ types of collectibles you can collect in a game… what do you do? Do you just play the game and complete the story like you have been doing all along since the old days? Or do you 100% the game? Do you want to collect only few collectibles? Then which ones and why? Understanding what each of those collectibles give you and then evaluating what is actually is worth getting in your lifetime (playthrough) becomes a complex and tedious exercise. You can hand down information to the next generation (New Game+) and they can figure out what to do with that information. If you have friends who play the same game and share scores/achievements with them, will you still be satisfied just by completing the game and reaching the end state? Or would you want to have a platinum trophy by the time you complete the game? As time goes by and things get more complex, one’s understanding of what it means to achieve the goal also needs to be studied. You can still be happy just going through the game and completing it, but it is you who must find what satisfies you. Do you need the new wants? In a world with so many choices, you either get mad at all the choices and feel disappointed at the end of the game (bad review scores) Or you can try to carefully dedicate time to finding what it is actually that you are built for, what you can do, and try to achieve those goals (collecting orbs in Crackdown). Find out for yourself, what makes you reach a satisfactory end; Satisfaction could be your own personal achievement (collect all coins and reach the end) or make your journey good for everyone sharing the world with you (complete NPC quests). The Games that TV Play. A game is designed and played in a way analogous to how we live, the game-life relationship is also apparent in other media. A good example for these themes is from the two biggest TV shows I’ve followed this year. One being Game of Thrones and the other being The Wire. Tywin Lannister: Maintain high position and leave a powerful legacy. Daenerys Targaryen: At first just wanted the throne, now want’s to liberate the suffering using her powers, eventually reclaim the throne. Tyrion Lannister: Just wants to play the game and stay alive, keep the people he likes alive. Ned Stark: Rule by moral code and ethics of Righteousness. Littlefinger: Rise to the riches and gain power. The Red Lady – Melisandre: Get as many to believe and follow her One True God. The King Slayer: Lost a physical piece, but found mental peace and probably a code. Jon Snow: Stay alive and avoid Extinction. As you study these characters you realize that all of them are players. They have been given, or found on their own right, a code that is compatible with how their body-mind is designed and what their life experiences have taught them. They’re all trying to get to their end condition; they are utilizing their privilege and conditions surrounding them to achieve what they believe will leave them with a satisfactory end. If their journey were to end before those goals were achieved or they see their goals being crushed in front of them… their end would not be satisfactory, hence failed at the game. Game: Dealing drugs, acquiring corners, making a name, getting rich. Quantifiers: Deaths, Money, Risks averted, Keep the Family close. Most people are born in to the scene and forced in to The Game… the ones that go up high, are the ones who can deal with all the killing and risks involved in it. They learn the rules of the game by studying what happened to others before them (which they experience as they go from hopper, hustlers to kingpins). 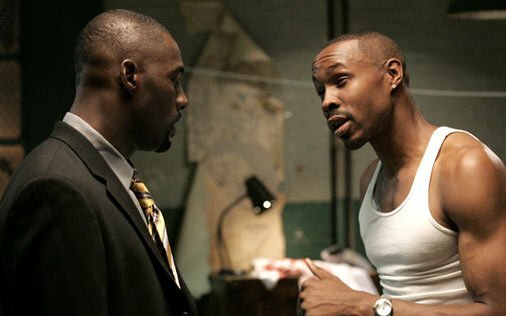 Some either follow the ones before them (Avon Barksdale), or change the rules (Stringer Bell). Different players have different stats, some are support class, like Chris and Wee Bay; Some are the soldiers, like Bodie; Some are thought leaders, like Stringer Bell and Proposition Joe. Everyone has their own skill set with which they play the game. Knowing their place, and living their life. Many know their journey will end soon, but they identify their end goal and live life such that whenever it ends, there is no disappointment, they are ready… for they have conviction roles they play. Playing the same game, but with different rules. Quantifiers: Stats, Position, Cases cleared. Politicians need to show good numbers to the people to create a good image, which forces the whole department to “juke the stats” . This is done because the whole thing is run as a numbers game. A complex concept that is difficult to understand is converted into a single quantifiable number that when presented to the general public will create a perception of progress. There are people like Cedric Daniels who cannot and will not juke the stats and like good quality work, so that actual visible difference is achieved in the quality of life of the people. Freemon want to Follow The Money, so that there is end an to corruption, which according to him will fix the whole big picture. McNulty fixes a target and wants to get them to justice, makes it a cat and mouse game and tries to end it. Everyone is part of the game, but play it with their own set of rules that aligns with their mentality. Quantifier: Students passed, overall grades, specific course grades, Year-over-Year improvement. Satisfactory End: Funding is maintained, is Autonomous, Get’s the most possible students to pass. With only one thing in mind, that is to get paid and keep the schools open so that their livelihood is safe, the teachers find a way to “game” the system and teach students using a method by which they are able to pass the exams with good grades. This is done so that the school reaches the required numeric quantifier that the government requires to keep the school autonomous and provide sufficient funding. The basic values of the educational system, which is to educate the children attending it, is given up. This happens because it is difficult to put values on things like “learning”, “getting better”, “having a good time”. When a committee defines a set of quantifiable variables like “grade”, “school average” and the like, they defer the rest of the thinking to people lower in the hierarchy to figure out. The people lowest in the hierarchy are the ones actually getting the education and they get the worst outcome as they do not have a way to make things “easy” for themselves. The committee makes it easy for themselves by just setting a few quantifiers which they want individual schools to reach. The schools observe which subjects are making it most difficult for them to get to that desired value and make all the teachers teach them. The teachers just follow the Question banks and teach them to the kids so that the students get good grades, through which they are seen as good teachers. In the end, the students trust the teachers and the system and assume that they are getting what people are supposed to get at school. The students can in turn try to make it easy for themselves by trying to skip school or waste the time they are in school by just fooling around. Think of this like a stealth game, you try to play the whole game by trying not to alert any guards, but the game/level is designed so poorly that it doesn’t allow 90% of the players to complete it that way. Once you realize that the game is very difficult, you just choose the path of least resistance, you run straight through the level and maybe alert a guard, but then you maybe use the tricks of the game and run blindly to the next room, because you know the alarms will reset. Players mostly do this in action games too, say you are stuck in a room with very powerful enemies, and you try to defeat each and every one of them, be it Quake or Megaman, there will come a time when you will just run straight through the level because you tried a lot and you just can’t take it anymore, no more retries, no more days of trying to understand what the teacher is teaching, and just skip classes and reach the next level by hook or crook. There is a recent surge of “gamification” for each and every thing you can think of. It sounds like a cool new word, but it is basically what aforementioned School, Police etc systems were doing. It’s like the points system for a driver’s license. It’s like the credit system attached to a person’s SSN, it’s all the same. The basic motivator is to obfuscate work by assigning some points or rewards to each activity. This when applied on a smaller scale makes sense, for a limited number of times. A seal might get a small fish and happily clap it’s flippers for bouncing a ball off it’s nose, but giving a positive or negative point to an employee where the end game is deciding the security of their job and livelihood, the stress can get to people. People will start understanding it for the game it is, and play with the system and find ways to achieve it’s goals without caring for the rest of the things that cannot be quantified. When playing a game, the game over screen indicates that you are out of the game. People do not want to be out of the game, if the game gets really tough, you either find your own rule set to play it by, take the path of least resistance, suffer for how it treats you for being ‘different’ or you can quit the game and find that there are other games to play (drop out of school, change jobs, change countries, etc etc). But it is the fact that a person is playing a game that makes them feel alive. Playing a game that they want to play makes them feel happy. 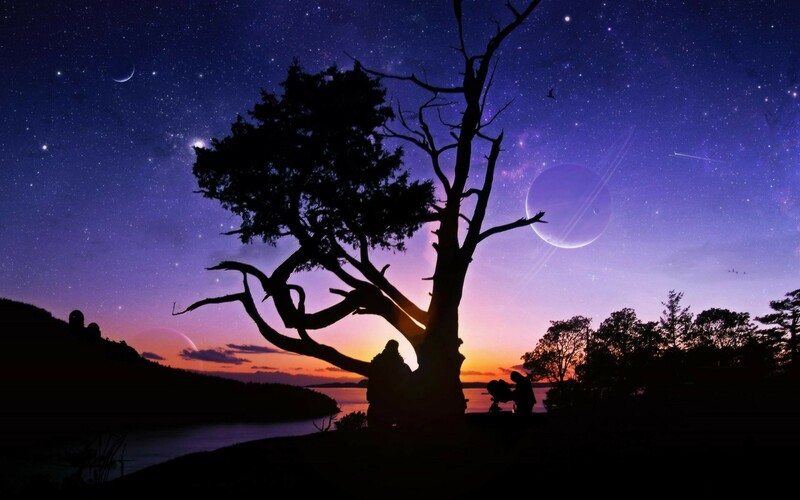 Assume the trees and the rocks, water and planets. All of them do the same thing over and over again; governed by the rules that they have been given, they do their thing. Trees grow from seeds and then die away. Rocks just… stay there. Water flows, and the planets rotate-revolve in their orbits. These are the things that we consider non-living things. These are the things that are the Non-Player-Characters of the world we live in. They are not considered alive because they cannot play or participate in the game called life. Similarly a human living a mundane life feels as if they are a zombie, the living dead. Hence every human tries to find their meaning in life, find something that makes them happy and try to play the game and achieve it. It is an endless challenge that keeps us going. It is lead by the desires set and programmed within us. Planets, non-living things, do the same thing over and over again. Assume a game with a world where the NPCs are just walking forwards and backwards in the same linear path set by the programmer, think of them as the thing that says the same piece of dialogue again and again. This is a “bad” game because the world of the game does not “feel alive”. Imagine something more advanced, where pedestrians take a cab, discuss their daily life and go about doing things even when you are not caring for them, this game is said to have a “Living-breathing world”. This is how we see things, something that is living and breathing is something that gives us the notion that they are participating in their own game and doing their own things. With their free will. A MMO game is generally considered good when the game as designed by the designers is inhabited by multiple players and their activities organically start deciding how the game’s future is shaped, if it were a game where only the designers set the rule and it is not something the players like, it fails. We live in a world that currently exists and is defined by the players, who like the game of defining the rules, it will be an eternal struggle for the ones who want to play the game of living and the ones play with the lives of the living. Many are forced to play the 9 to 5 game devised to keep people occupied and turning it into a game of highest difficulty level to find their own game to play. The whole world is a game, everyone alive is a player, which rules do they play by and why do they play it, that is the eternal pursuit until the game is over.